This post is sponsored by St. Martin’s Press. Thank you for supporting our sponsors! Are you looking for a way to escape the back-to-school chaos? 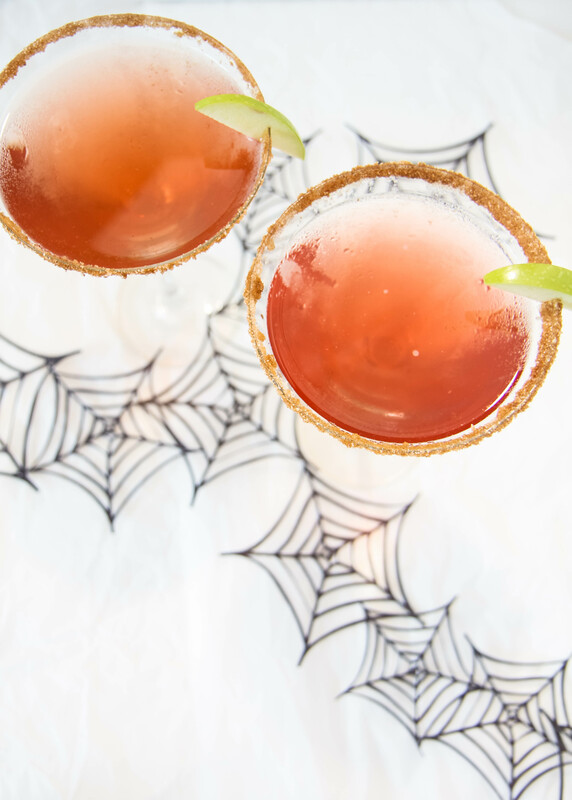 Lucky for you, I have the perfect thriller and cocktail to escape with this fall. If you haven’t yet heard of T.M. Logan it is because he is making his debut this month with, “Lies.” Logan is a seasoned writer who has worked as a national newspaper journalist. This is why, perhaps, this book does not seem like a debut at all. In this story, our lead character, Joe Lynch, is driving home from work with his young son. He happens to see his wife’s car ahead of him and decides to follow her and ends up witnessing a secret rendezvous with another man. This encounter threatens to tear the two families apart and Joe finds that he is being set up for a murder that he never committed. If you are a fan of Peter Swanson’s writing, I have a feeling you are going to absolutely love this thriller. 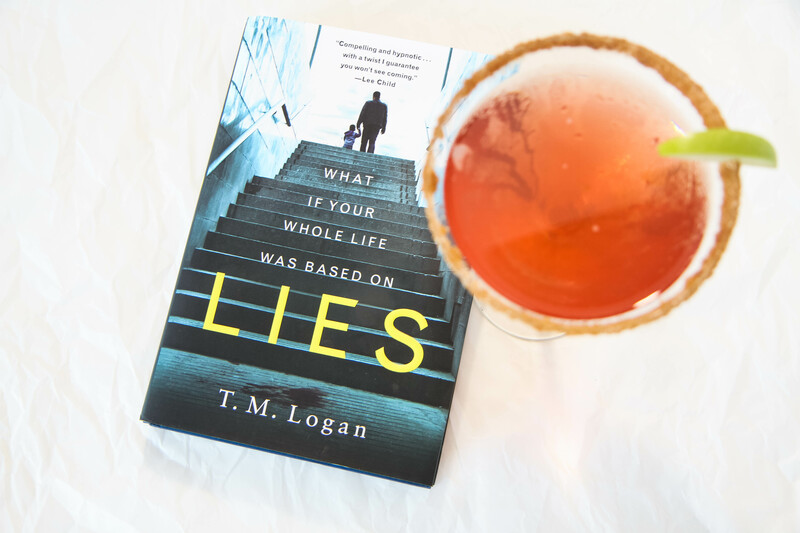 Logan expertly weaves the plot of this story so well that you will find yourself questioning just who is innocent and who is guilty. Even more than that though, we all know that a satisfying thriller has a twisty conclusion that we don’t see coming and Logan not only keeps the reader on their toes throughout the story, but he also manages to add smart twists that even a seasoned thriller reader just won’t expect. Logan really goes to great lengths to help us explore the question, can we ever really trust those closest to us? I absolutely loved this thriller and finished it in a single day. It was the perfect way to unwind from the craziness of back-to-school season. 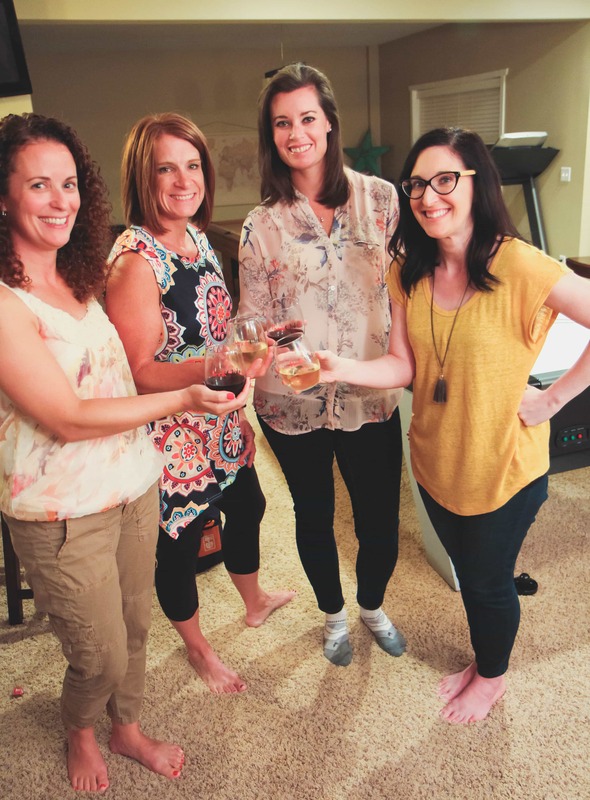 I know as moms it can be difficult to carve out time for ourselves, particularly during this time of year. The thing is, more than ever it is important to incorporate self-care activities that fill your cup too. Reading, for me, has always been my self-care outlet. 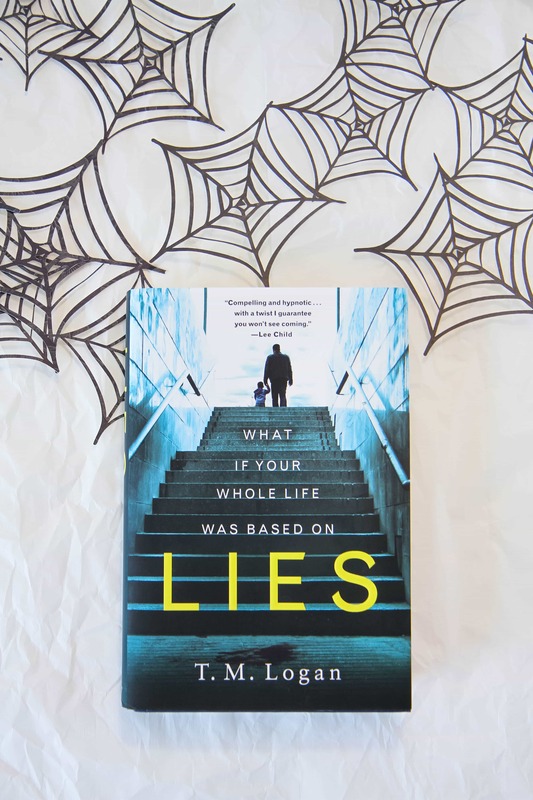 In busy seasons, I gravitate more towards the thriller genre because these tend to be fast page-turners and offer a much-needed escape during difficult parenting seasons. This novel hit stores on September 11th and is available now for purchase. You can read the first 27 pages of the book over here. I guarantee, you will be hooked. 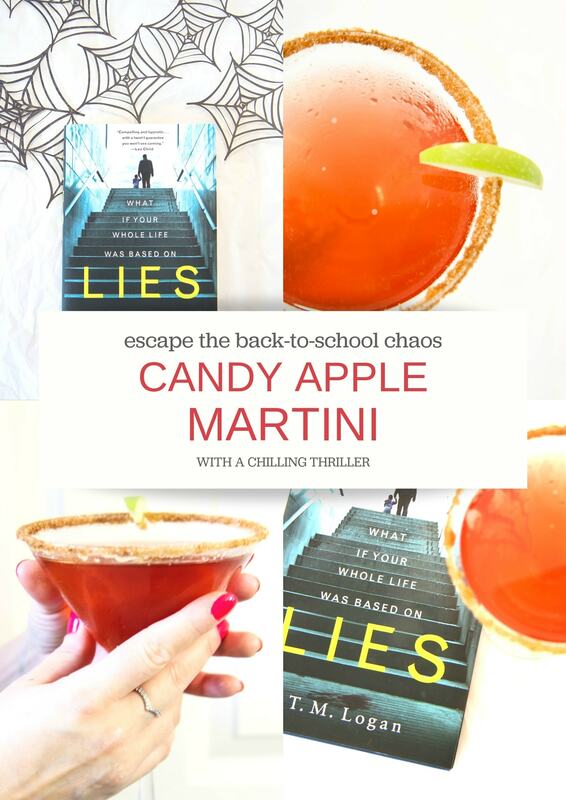 I wanted to pair this book with a fall cocktail so today’s recipe is for a Caramel Apple Martini that you can sip while furiously flipping those pages. This drink is a combination of butterscotch schnapps, sour apple schnapps, vodka, and cranberry juice. These flavors, once shaken together in a martini shaker or mason jar, taste just like a delicious candy apple. To fancy this drink up, dip the rim in water and then dip it in a little cinnamon and sugar mixed together. It can then be garnished with a fresh apple to bring it all together. I can’t think of a better pairing than a great thriller and a delicious martini. 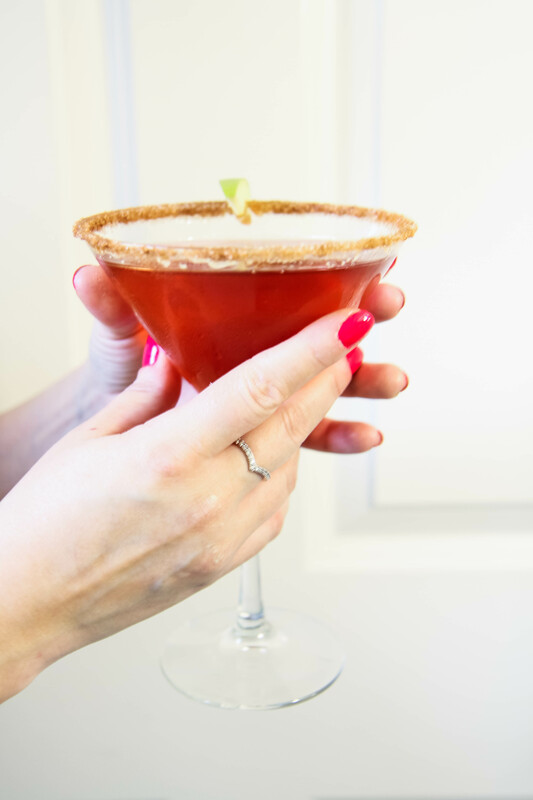 A delicious combination of butterscotch schnapps, sour apple schnapps, cranberry juice, and vodka make the perfect martini that tastes just like a candy apple. 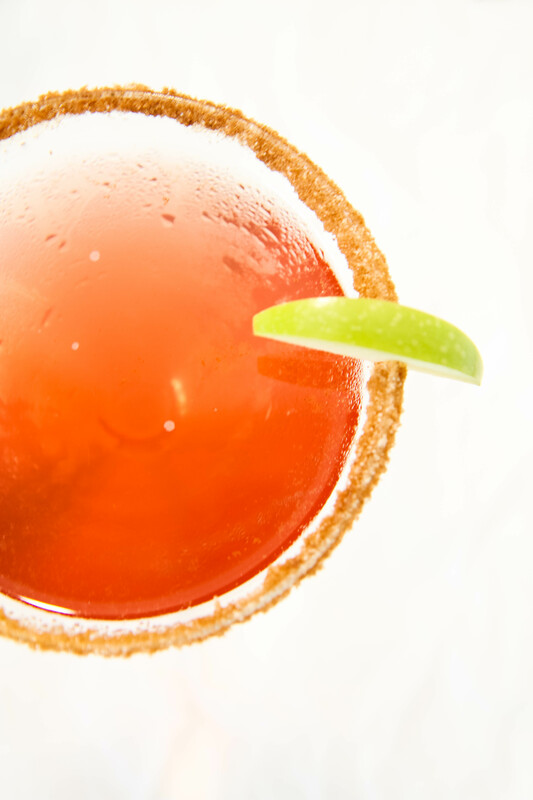 Dip the rim in cinnamon & sugar and garnish with an apple, to add those special finishing touches. Dip rim of glass in a shallow bowl of water. Next, dip it in a mixture of cinnamon and sugar. Add your apple garnish to the rim. Add ice to a mason jar or martini shaker. Pour the butterscotch schnapps, vodka, cranberry juice, and sour apple schnapps over the ice. Pour strained drink into prepared martini glass. Purchase, “Lies,” HERE. You can follow T.M. Logan on Twitter and Facebook! Are you as ready for fall as I am? As soon as the weather starts turning, I start thinking of all the things that I love about autumn. 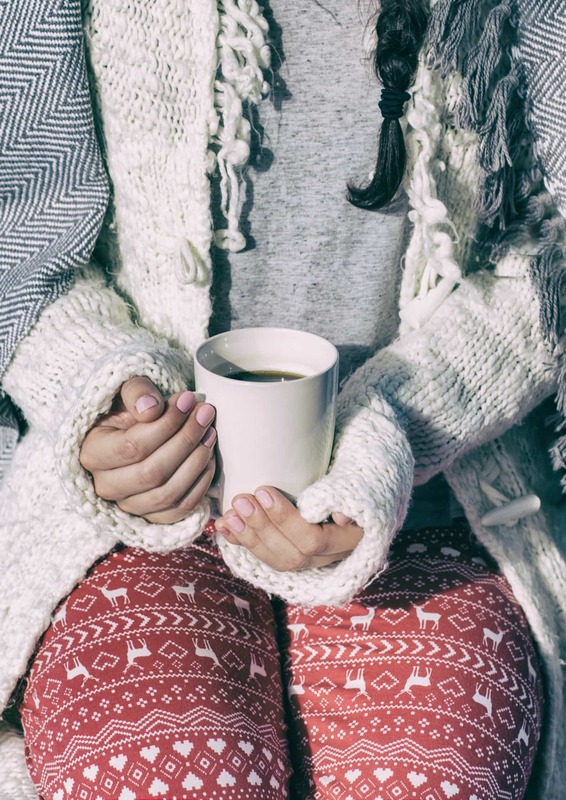 The crisp leaves, the cool air, my cozy slippers, flannel sheets, and warm drinks. In fact, sipping warm drinks with a good book is one of my all-time favorite fall activities. My favorite warm drink is chai and I look forward to making this each and every year for our family. Is it your favorite too? I love to have homemade chai tea mix in a jar on hand for sipping or for sharing with a good friend. 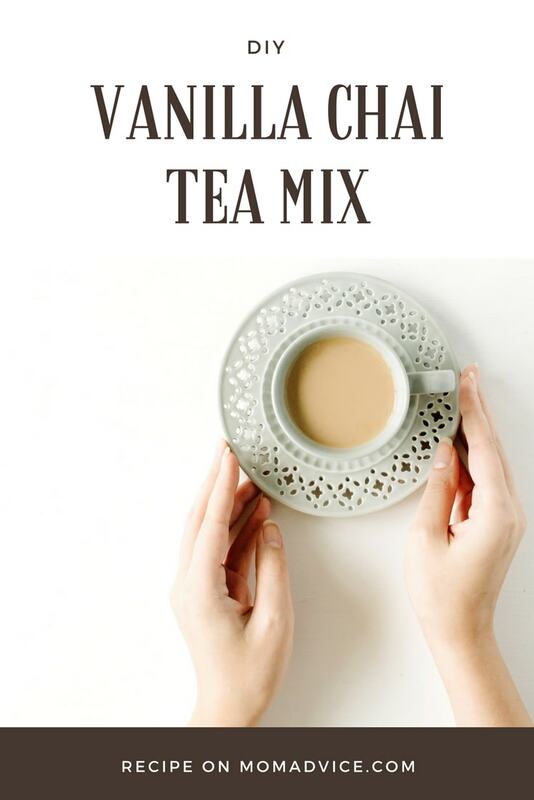 I am sure you have seen that the drink mixes can be quite expensive, but mixing up a batch of this DIY Vanilla Chai mix for yourself can help to keep your pockets nice and warm with a little extra money. Most of the spices, dry creamer, and dry milk are already stocked in my pantry or can be found easily on the baking shelves at our local grocery store. The only additions I usually have to run out and get is the instant tea and powdered vanilla creamer. When I see a sale on these ingredients, I stock up so I don’t run out in the colder months. We tend to go through this mix rather quickly because it is such a hit over here. To make the batch more smooth, instead of gritty, I process everything through my blender. I first mix all of the white ingredients in my blender (milk, sugar, creamer, vanilla creamer). I dump those in a plastic container and then I mix up all the brown ingredients (tea and spices). I pour this on top in the plastic container, seal the lid and give it a good shaking to incorporate or mix it up with a spoon. If you have a large food processor, you may be able to process it all together, but if you have a blender it is best to do this in divided batches. Not only is this drink mix wonderful for yourself, but mixing up a batch of this and tucking some of it in a mug would be a wonderful gift to give to someone special in your life. I often rely on this easy mix in a jar for a teacher or bus driver gift because it is always a hit. Who wouldn’t want a jar of that in their pantry? 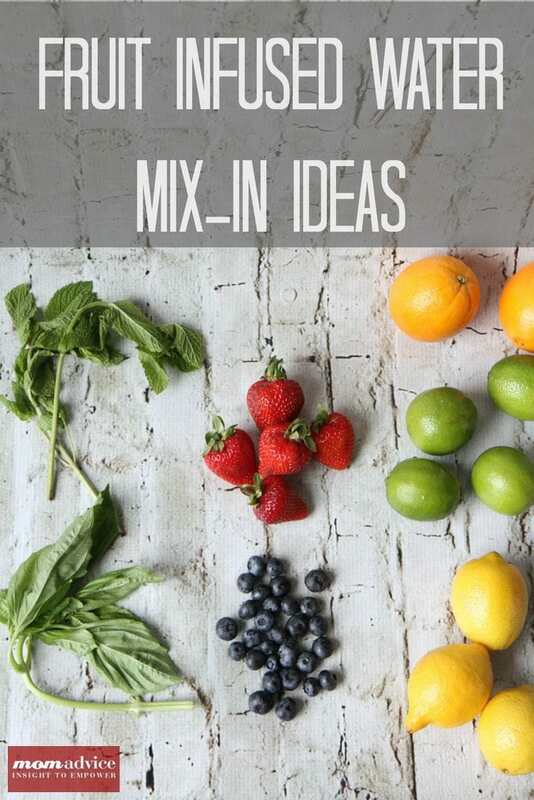 If you are sharing this one with your kids, be sure to look for a mix like this. I hope you enjoy this recipe as much as I do- please let me know what you think! 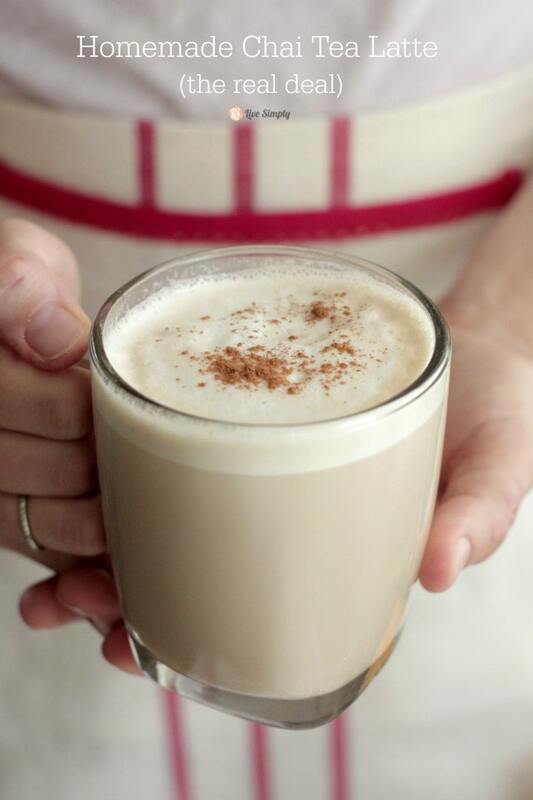 Mix up this easy recipe for Vanilla Chai to keep in your pantry to enjoy throughout the cooler months. This is also a great gift mix to share with family and friends. Combine all ingredients in a food processor and blend until it is a fine powder. Add two-three tablespoons of mix to 8 ounces of hot water or milk. Love this mix? 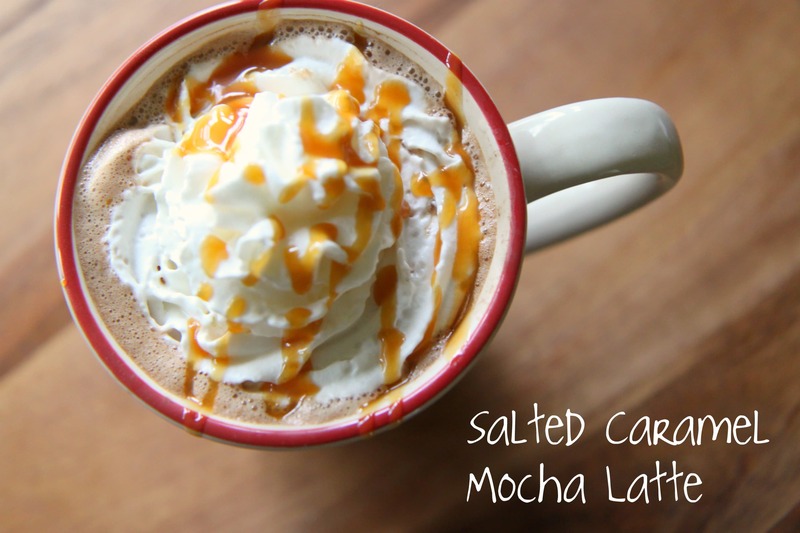 Check out my hot cocoa mix with an ingredient that just might surprise you! 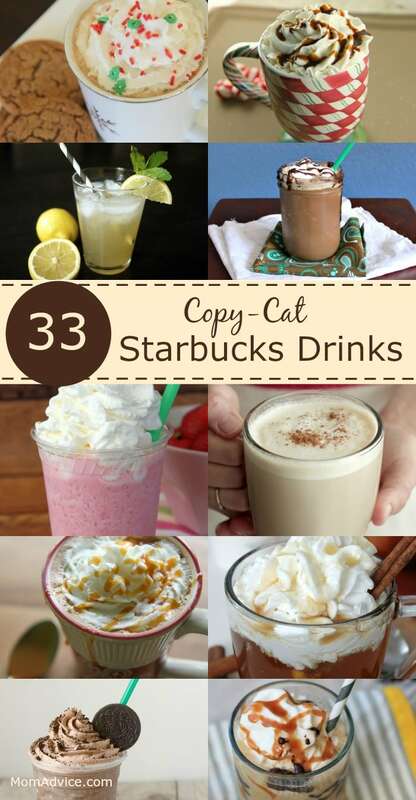 You might also love this link to some of my favorite copycat DIY Starbucks Drinks or this great roundup of fall drinks– yum! What is your favorite autumn/winter drink? 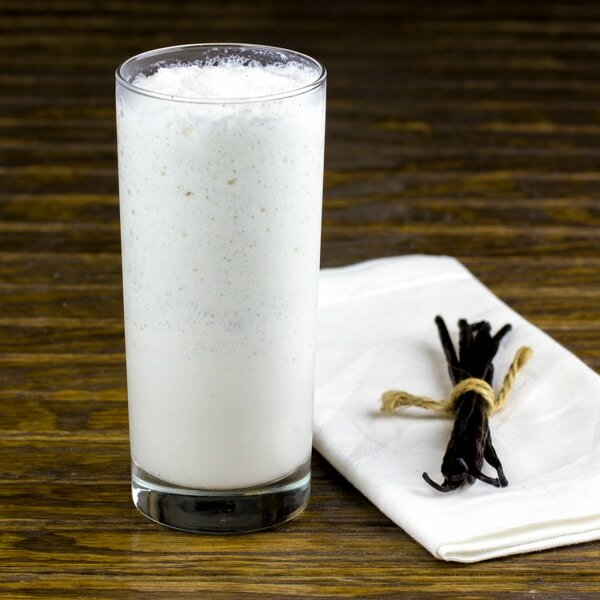 Do you have any recipes to share for your favorite drink mixes? I am so excited to be partnering this year with the Florida Department of Citrus to celebrate National OJ Day today. 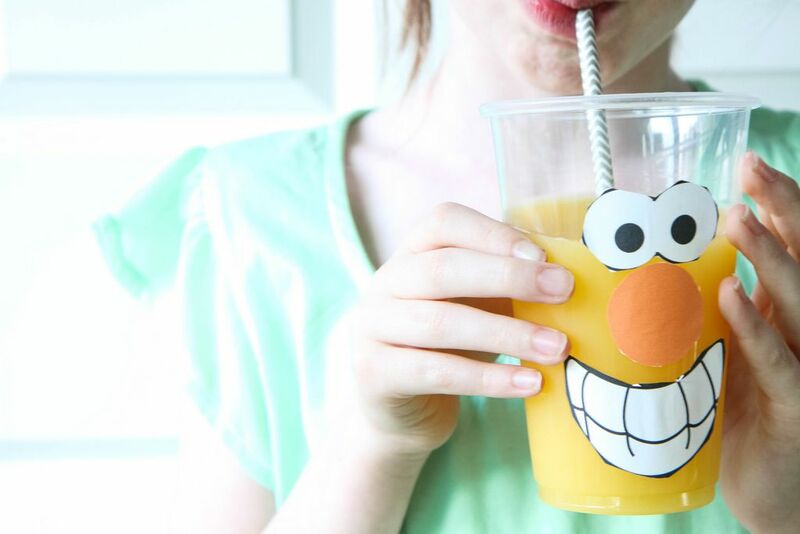 In celebration of this fun day, I wanted to create an interactive way you can enjoy a glass of FLOJ and craft up a cute funny faces cup with your kids. 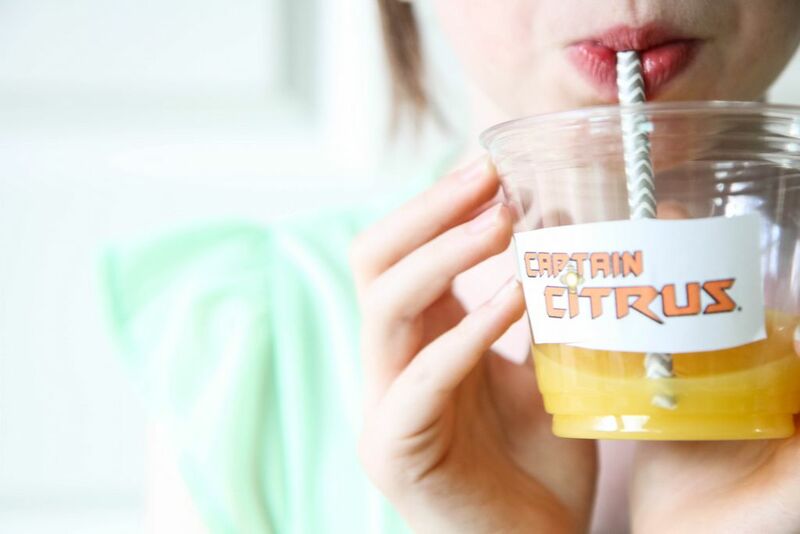 Did you know that one glass of Florida Orange Juice provides a total of 5 amazing nutrients in every glass? In just one glass you have Taste, Vitamin C, Folate, Potassium and No Added Sugar! More importantly for me, as a busy mom always striving to get our fruits and veggies into our diet, it’s good to know that a single 8-ounce glass of 100% orange juice counts as one of your daily recommended servings of fruit. 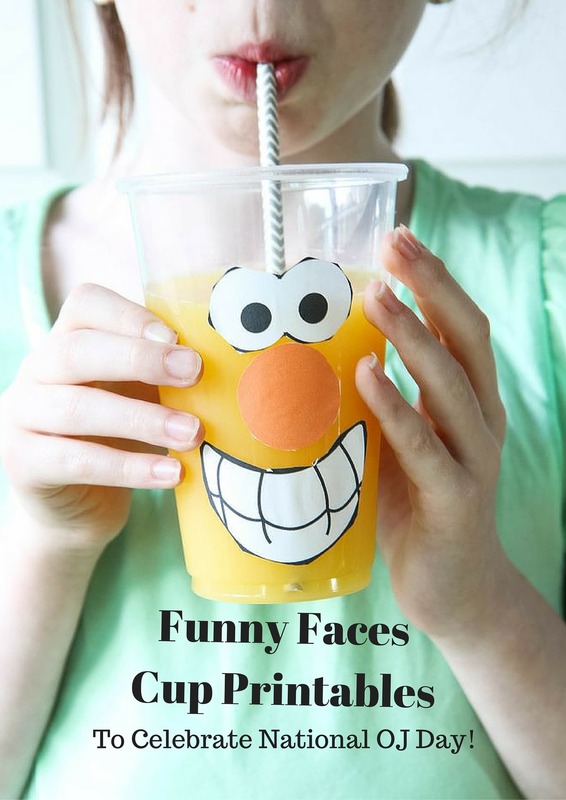 Print out our funny faces printable and have your child cut out the different mouths, shapes, noses, & Captain Citrus action graphics to decorate their cup. This is a fantastic way for your child to practice cutting. Have your child flip each piece over and cover it in glue using their glue stick. How fun is this? We hope that this post inspires you to celebrate today with your family. If that wasn’t fun enough today we are giving away a Florida Department of Citrus kit to one lucky reader. Follow the instructions in the widget below to enter to win! This blog was sponsored by Florida Department of Citrus. Thank you for supporting the companies that support our site! There are a few great gifts I give myself in the morning. The first, is to rise an hour earlier than necessary to get in an uninterrupted hour of reading (BLISS!). The second is to always program my coffeemaker the night before so I wake up to a fresh brew (HEAVEN!). The third? 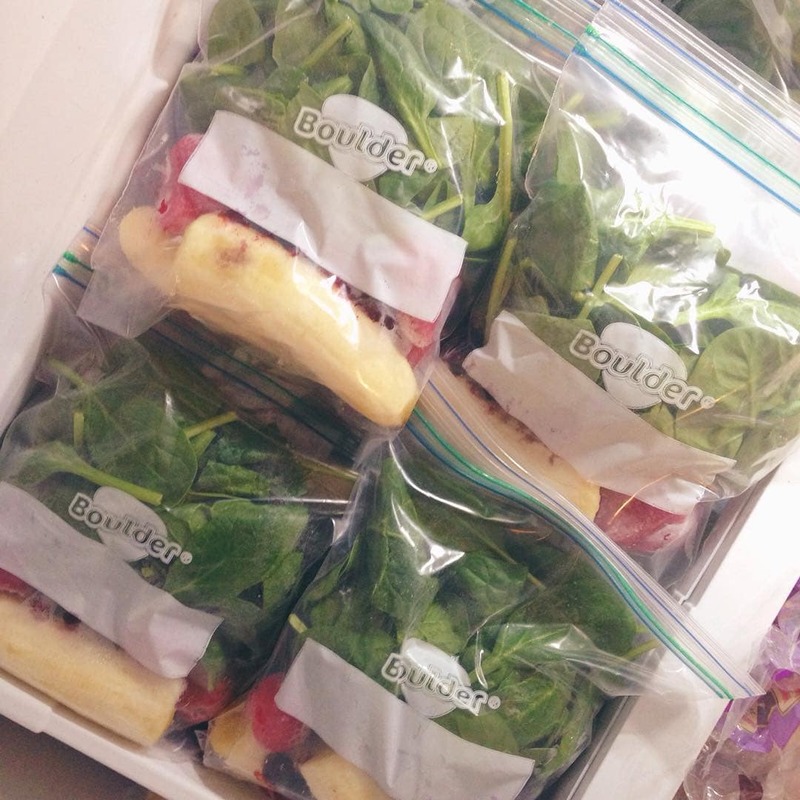 Packing my freezer with smoothie packets that make creating a morning smoothie filled with greens and fruits incredibly easy and practically effortless (WINNING AT LIFE). I posted about my make-ahead smoothie packets on Instagram and got a lot of questions about it. 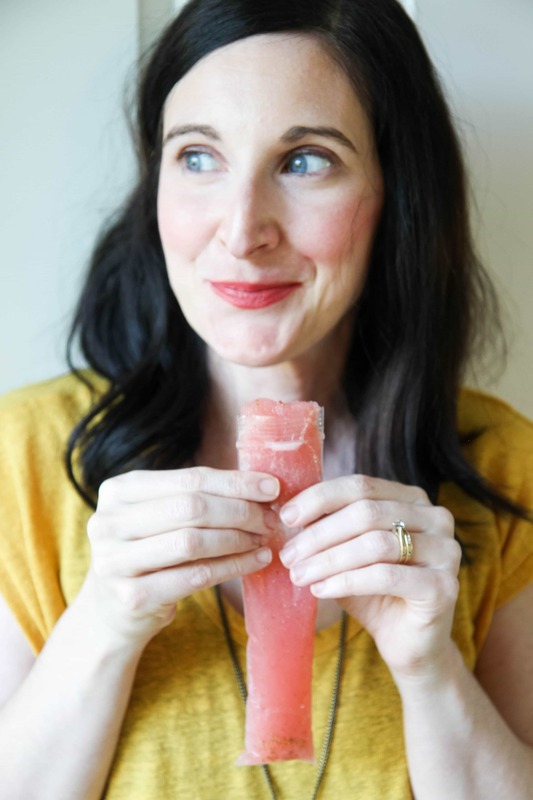 Something I have come to think of as a weekly routine really sparked a lot of questions about my recipe, what the smoothie looked like, and what to do for fruit substitutions. I thought it deserved its own little post because it has become a very vital part of my morning routines and sets a good foundation for healthy eating the rest of the day. 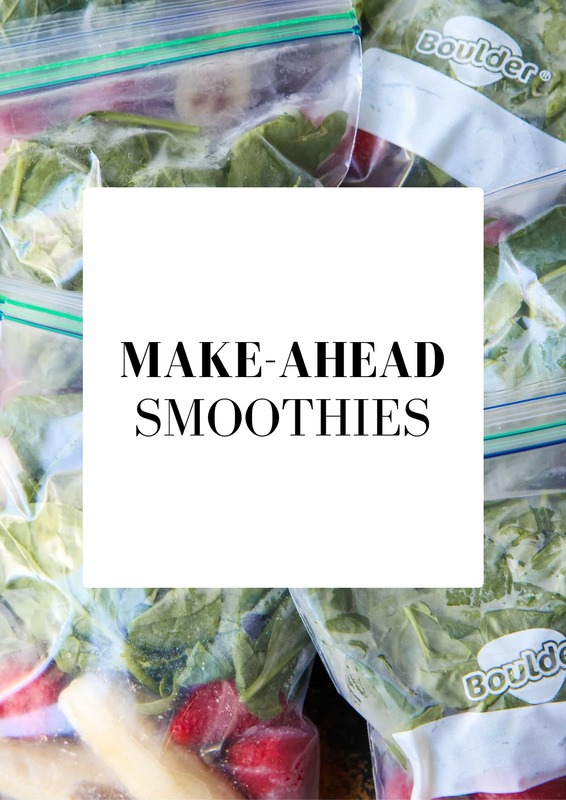 Not only does this strategy save you time in the morning, but it also puts ripe fruit to work and is a great way to utilize spinach before it goes bad making the most of every grocery dollar. I never waste a banana in our house or any greens anymore because they always have a home. If I have run out of frozen berries, I just add the rest of these ingredients into a packet and get them ready for my next grocery day when I can get the frozen fruit to add to it. As someone trying to reduce their food waste, this has been an awesome use for those often tossed items. Also, if you buy smoothies regularly, you know they are not cheap. A typical smoothie around these parts (said in my best Midwest accent) is around $4-6. Even if bought weekly, that can add up fast! Here were a few of your questions for me! Do you store these packets in the freezer and for how long? Yup, I recommend freezing in quart-sized freezer storage bags and making sure to push out any air in the bags to keep these ingredients as fresh as possible. I would recommend using these in one month for optimum flavor. How many smoothies do these packets make? 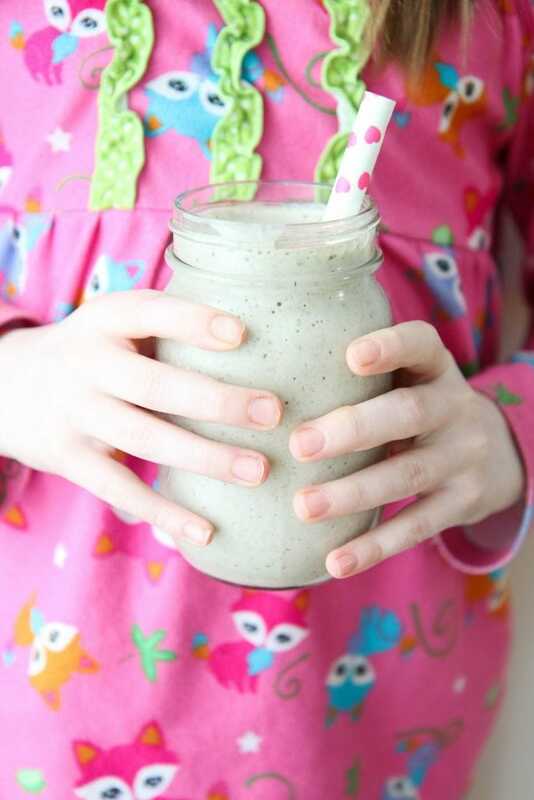 I drink an enormous smoothie in the morning (24 ounces) and my daughter has the size I am showing you in the cup below and this packet with my recipe I have listed makes enough for that. For “normal” people, maybe it might make three, but this is my breakfast, people, and I’m a big eater. I got one of these for me to help make toting these in the car a little easier since I drink these on the way to the gym in the morning. I also have this giant water bottle from the same company and it has improved how much water I intake as well as my healthy smoothie habit for breakfast. I have been happy how they have held up (over a year now!) compared to some other insulated cups I have tried. Do you blend these with milk or use a milk substitution? My stomach can’t process a lot of dairy so I use unsweetened almond milk in mine. I do use Greek yogurt though (either vanilla or unsweetened) and that doesn’t seem to bother me. You can definitely use milk, soy milk, or coconut milk if you would prefer. I’m a big fan of the flavor of the almond milk! Can I make these without spinach? I don’t think my kids will drink these if they are green! I just want to show you how very slightly these are tinged with green when you only add a cup or so of spinach to them. Additionally, if I am really concerned an extra handful of frozen blueberries cancels out all other colors so sometimes if I am really generous with the blueberries, these look more blue. 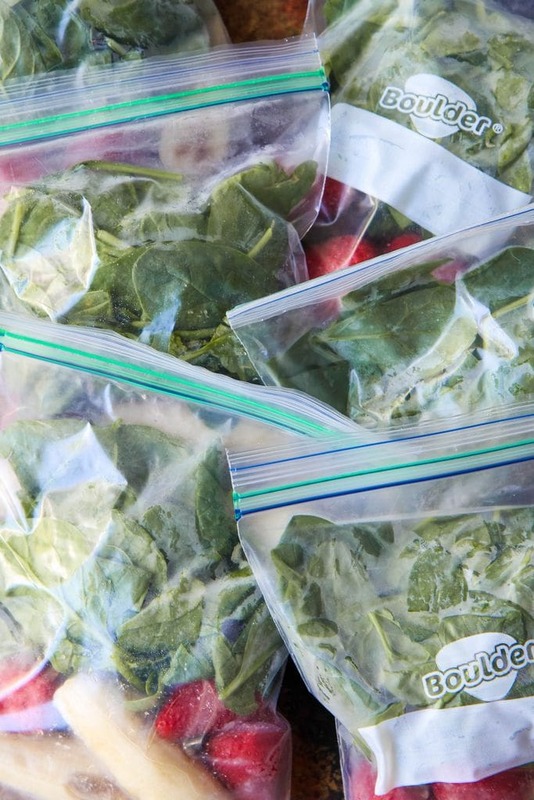 Are you using frozen spinach? Frozen berries? What does the spinach look like when it is frozen? Here is a packet that has been frozen for three weeks and this is what it looks like. The spinach is fresh spinach (I don’t want to hassle with the frozen stuff- personal preference), the berries are frozen, and the bananas are fresh. I like to cut the bananas in half to help them break down a little easier in the blender. As you can see, the spinach looks almost the same as it did when I threw it in there. The bananas may brown over time, but they will still taste the same. As rapidly as we go through these though, I have rarely even seen that happen. By freezing these fruits and veggies, you eliminate the need for ice in your smoothie which creates a much creamier consistency and a smoothie that holds together longer. 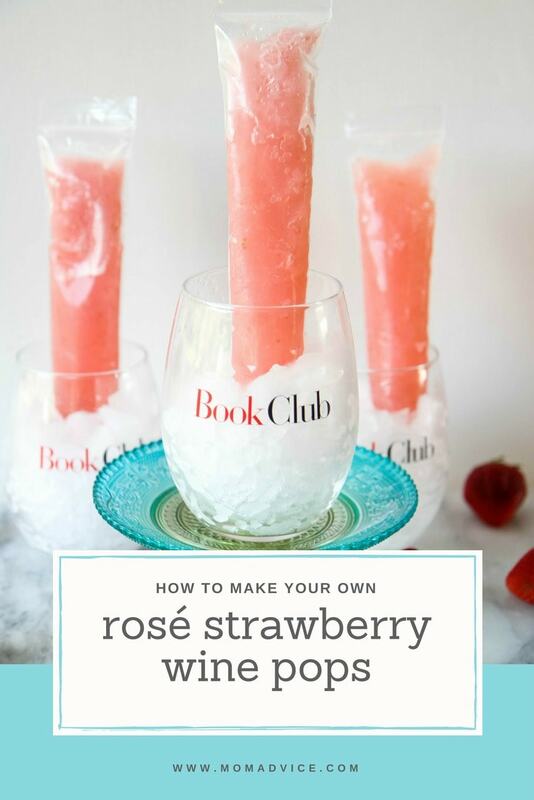 Sometimes I will make these in the morning and pop one in the fridge for my daughter for her afternoon snack. It always looks just like I had just made it. When I add water or ice, it tends to separate and grosses her out. Should I flash freeze any of the ingredients? If you aren’t familiar with flash freezing, I do this a lot with foods for our freezer. Typically, I fan whatever I am freezing out on an open parchment paper lined cookie sheet, freeze just until frozen, and then toss in a bag. I experimented with this and here is what I will say about that. You can cut the bananas in half and flash freeze and they will stay separated, making it easier to pour into your blender and it is really great. It’s an extra step though. My lazy freezer routine is to cut them in half right in the bag, freeze (where they tend to fuse back together) and then smack the bag as hard as I can on the counter until they loosen from each other while I listen to the political crap insight on NPR. It’s kind of like a therapy session. You can do it whichever way fits your lifestyle best. What kind of protein powder do you use? What can I use if I am vegan or dairy-free? When I was dairy-free, I experimented with a lot of terrible protein powders so I can honestly tell you this is the only brand that I really liked that was plant-based. Now that I’m not dairy-free, I just purchase the store brand protein powder at our local grocery store in a vanilla flavor. Like I said, we had to try a few before we found the ones we liked best and I always try to keep my eyes peeled for a sale to maximize the savings. The goal is to keep this as a frugal routine for us. What kind of blender do you have? I have had the same blender for probably eight years or so and, unfortunately, they don’t make mine anymore. When mine bites the bullet, I will probably invest in this one because I have heard they last forever. In order to blend up these fruits, you really need to have a high powered blender though. If you have a $20 blender, it will burn out your motor. I say this because I did it. Twice. Invest in a good blender and it will more than pay for itself, I promise you! I can’t eat bananas. Do you have any recommendations for substitutions for my smoothie? I really liked this advice! Do your kids really like these? My kids are really picky! They really do and so do I. My daughter was a terrible breakfast eater, like her mother, and I worried a lot that she wasn’t eating enough to be fueled for her day at school. This is what she “eats” and she stays full until lunchtime. If she is running late, it is something that can be finished while she waits for her bus. 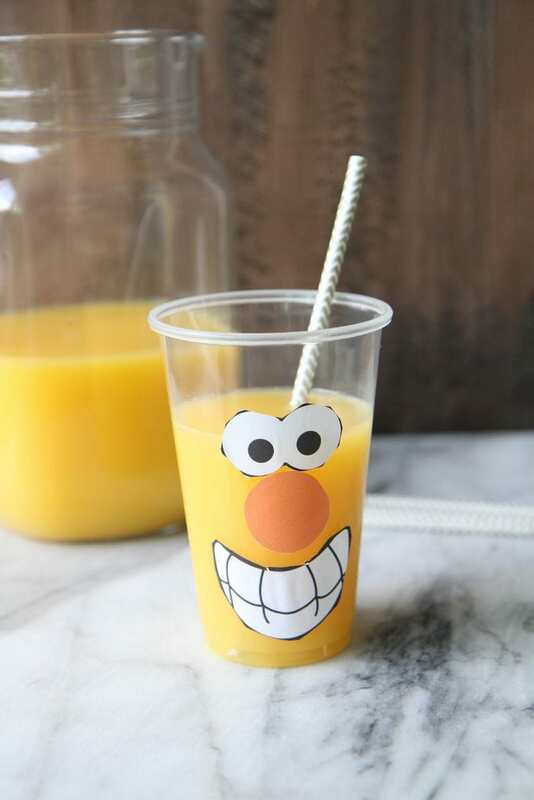 Fun straws are always a great addition to this morning treat especially when first pitching this idea to your kids. She says it tastes like a milkshake. For me, it’s been an incredible way to get fueled before I workout. Working out on an empty stomach isn’t a good idea for someone with low blood sugar. Eating something too heavy made me feel like I was going to be sick. 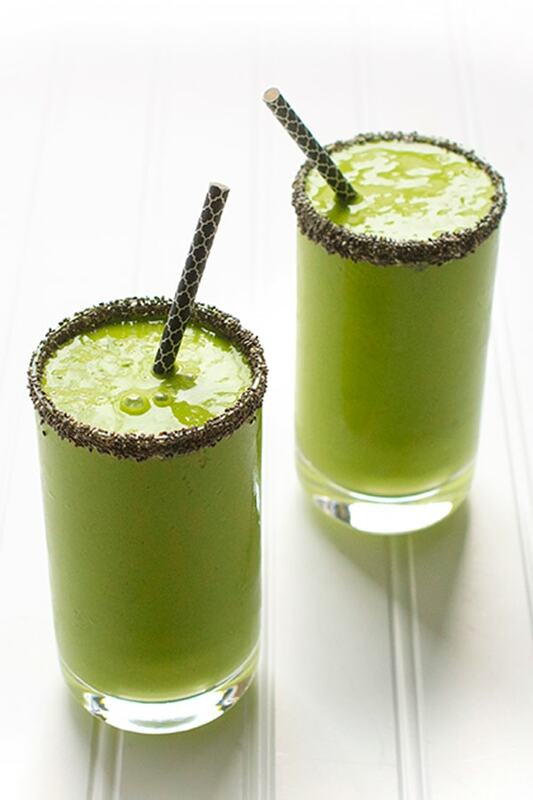 These smoothies are a great option to be fueled without a lot of heaviness in my stomach. Sometimes I drink half and pop it in the fridge until I get done exercising and finish the other half when I’m done. I hope these tips are helpful and I hope you love these as much as our family does! 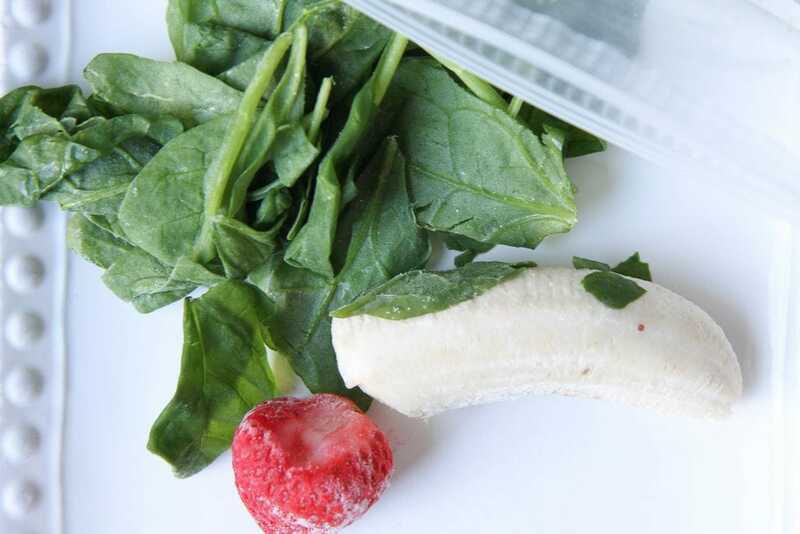 In a quart-sized bag prepare 1 banana, strawberries, blueberries, and spinach in a freezer bag. Repeat this process for a week's worth of smoothies. 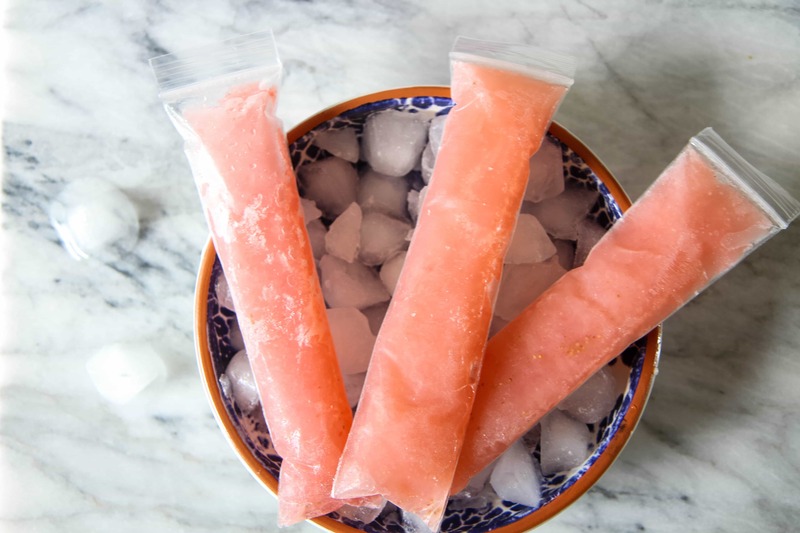 Freeze for up to 30 days. When making your morning smoothie, remove packet from the freezer and place in blender. Add almond milk, yogurt, and protein powder. 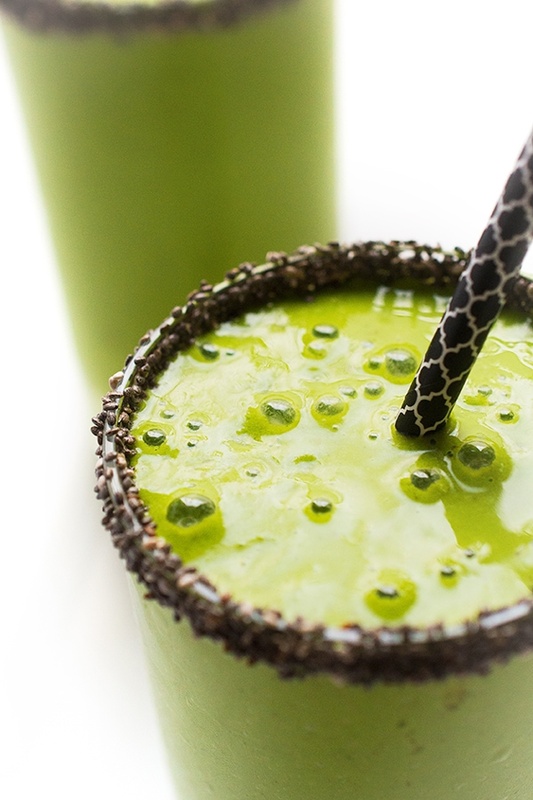 Do you have a favorite smoothie routine or recipe? Feel free to leave it in our comments below! This post contains affiliate links. I only recommend what I love though- pinky promise! I’m so honored to have my friend, Liz of The Lemon Bowl, sharing this amazing smoothie recipe with us today! Hi friends! I’m Liz from The Lemon Bowl and I am honored to be guest posting today for the beautiful and crazy talented Amy. 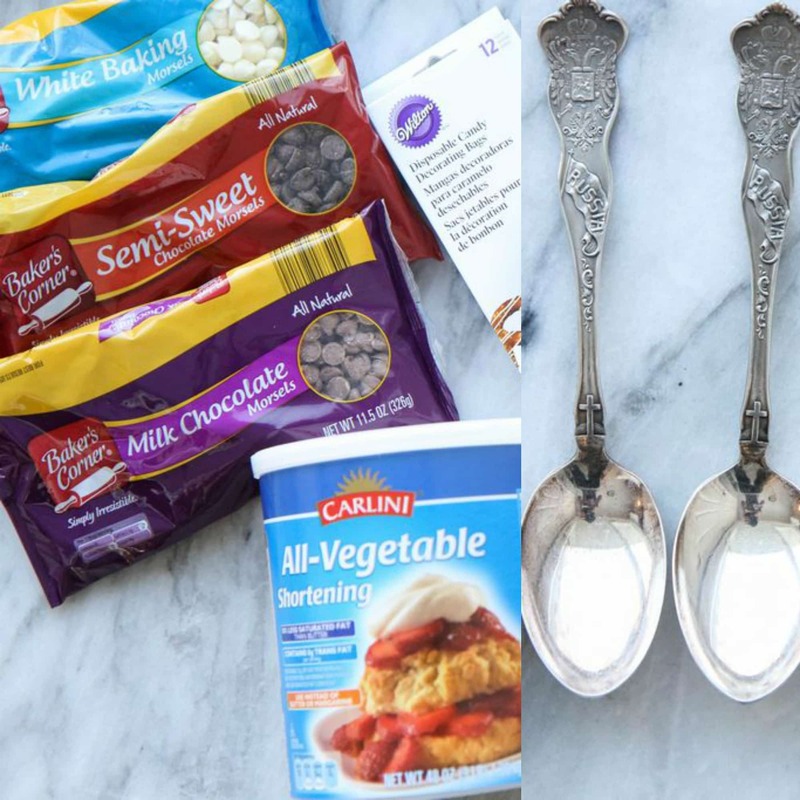 As a healthy recipe blogger and busy mom of two young boys, I love creating easy recipes made from simple ingredients. 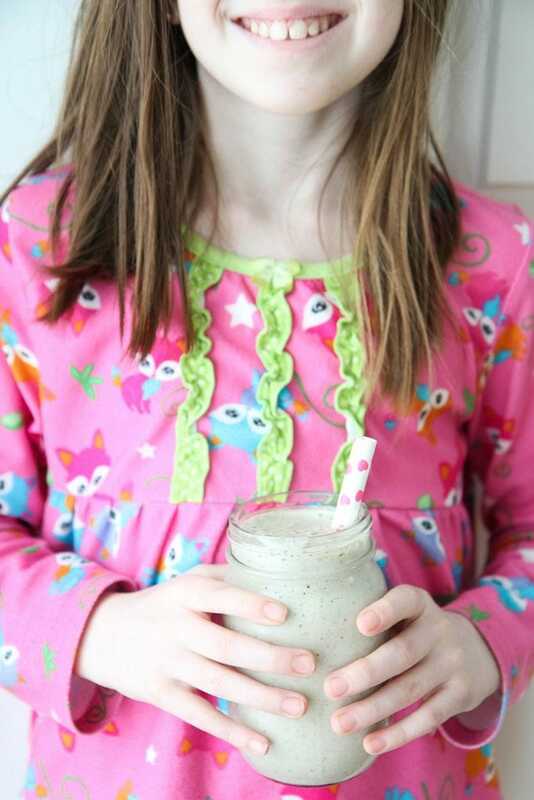 I don’t know about you but we love smoothies in our house. Not only are they a great way to use up fruits and veggies that are a little past their prime but they are literally a meal in a glass. 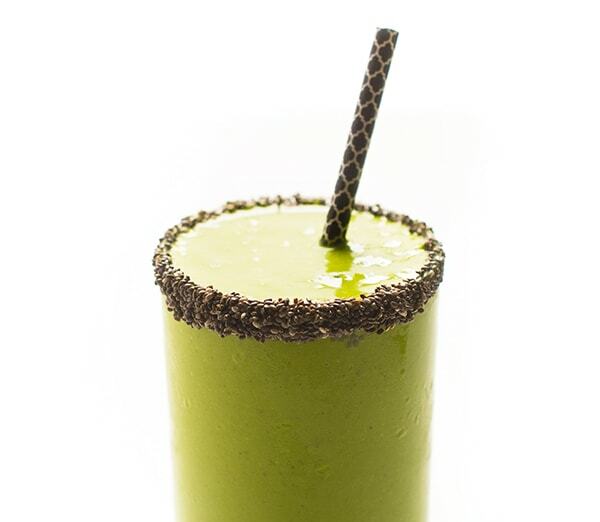 Just in time for St. Patrick’s Day, this protein-packed Mango Coconut Green Smoothie is naturally sweetened and has no artificial coloring. Made with creamy coconut milk, juicy mango and sweet bananas, your entire family will love this healthy and delicious smoothie. Whether you make it for breakfast, an after-school snack or dessert, just promise me you’ll make it. Juicy mango and creamy coconut milk add delicious flavor to this healthy and delicious smoothie packed with vitamins and nutrients. Place all ingredients in a high speed blender and puree until smooth. To prepare glass, pour ¼ cup or so of chia seeds on a plate. Run the rim of a glass under running water then carefully dip the top of the glass onto the plate until the rim is covered in chia seeds. Pour the smoothie into the glass and serve. If you are working with frozen fruit you may need to add a bit of liquid to get the smoothie blending - I like to add water or a bit more coconut milk to reach the desired consistency. My favorite drink in the summertime is iced coffee, but I don’t love the price tag that comes with the iced coffees from our coffee shops. Thankfully, I discovered how to cold brew my coffee and make the perfect iced coffee at home. This month on my site I am showing you how I cold brewed my coffee and today we tackle how to make the perfect iced coffee just for you by adding your own favorite flavor combinations. 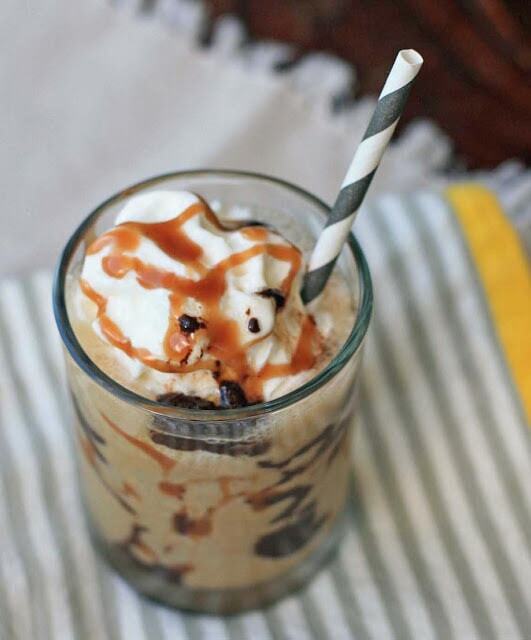 In honor of the iced coffee season, I am over at the Wild Oats blog sharing how to make your very own DIY Iced Coffees with just a few inexpensive ingredients for making your own unique flavor combinations! 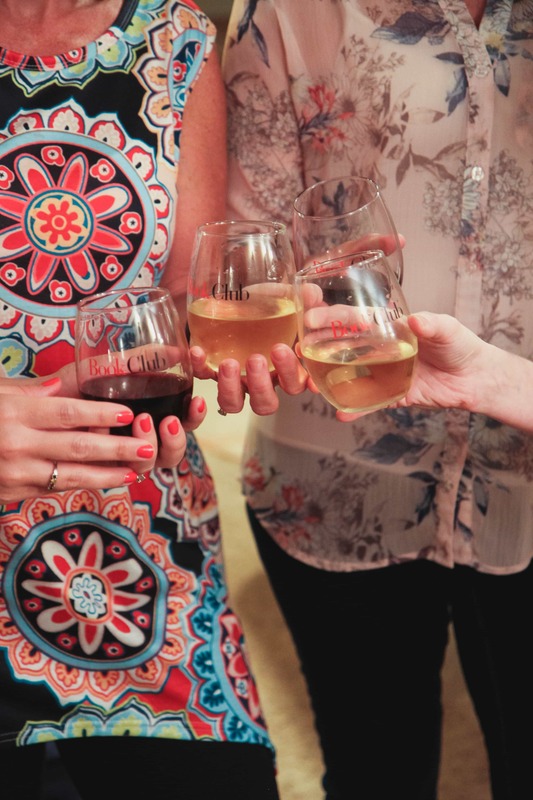 Head on over to the Wild Oats blog to get the scoop! This is a sponsored post written by me on behalf of ALDI. Today I wanted to share an adorable gift idea for someone special in your life. Today’s tutorial is how to make beautiful chocolate coffee spoons that you can pair with a big basket of coffee for gift-giving. This gift is perfect for any occasion and can be made in less than 30 minutes. 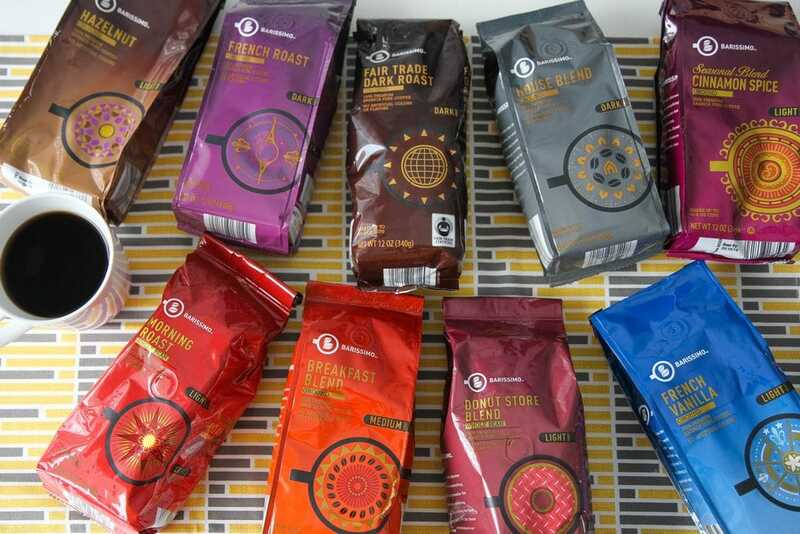 The inspiration for this project came along with the opportunity to try the new Barissimo line of premium coffee products that are available at your local ALDI store. I’m so excited to be partnering with them again on this project. In case you missed my Maple Coffee Bacon post from last week, I had the opportunity to try out all of the new coffees from ALDI and create some fun projects using this newly launched line at their store. This line features nine bagged and single serve coffee items, along with additional seasonal and Special Buy items that will be available for a limited time. Pictured below are a few of the ones that I found on my store shelves this month. Nothing pictured here is over $5 (even the Fair Trade coffee) which means it is quite the steal. In the past, I have relied on these bags of coffee for easy hostess gifts and breakfast baskets for new homeowners. It is an excellent gift to give especially to a tired new mom or a new college student. 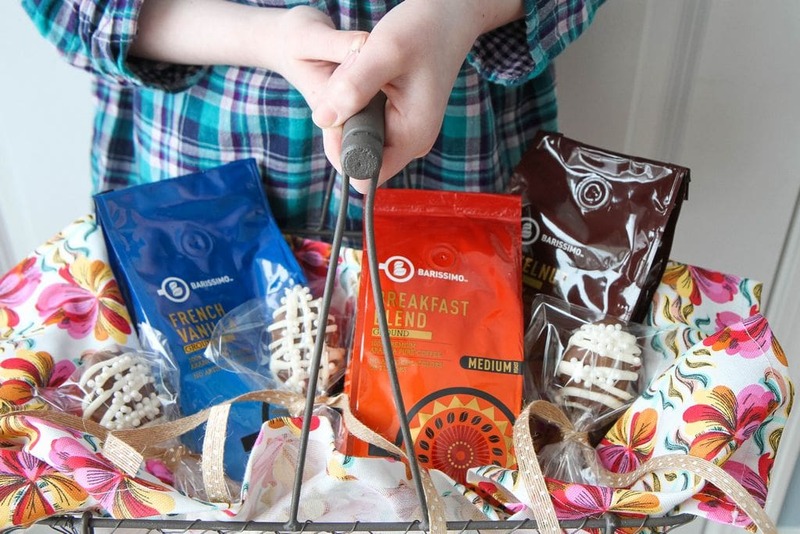 I thought it would be fun to dress these baskets up a bit with beautiful chocolate coffee covered spoons that you could package in your basket. *Some of these items are Special Buy or Seasonal items that are only in stores for a limited time and may no longer be available. Melt your semi-sweet chocolate chips (the whole bag) over a steam bath or in microwave. Melt chocolate slowing, stirring frequently. If chocolate clumps or doesn’t melt smoothly, add 1/2 teaspoon of shortening to help smooth it out. Dip your spoons into the chocolate and then rest them on a cookie sheet covered with parchment paper. 3. 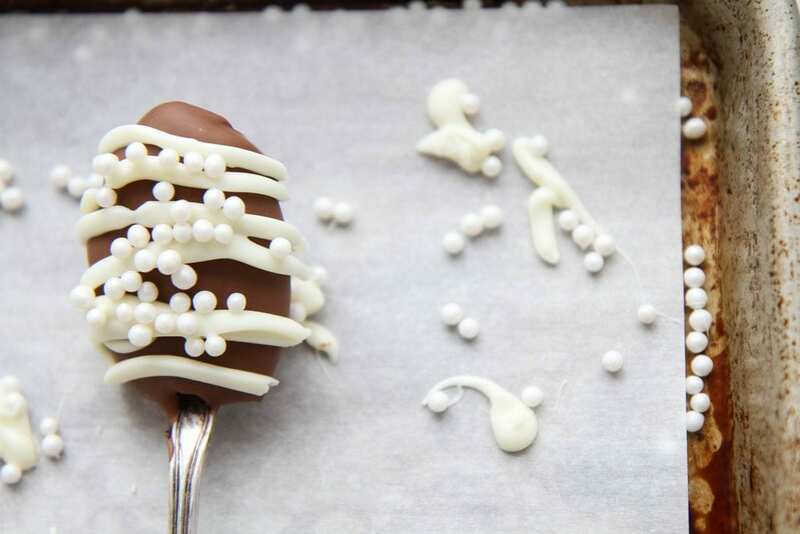 Decorate with your choice of milk chocolate, white chocolate and/or various garnishes. Drizzle with melted white chocolate (using my pastry bag) and then shake on some edible pearls so they would stick. Let these set completely before placing into decorative bags and tying with beautiful ribbon. 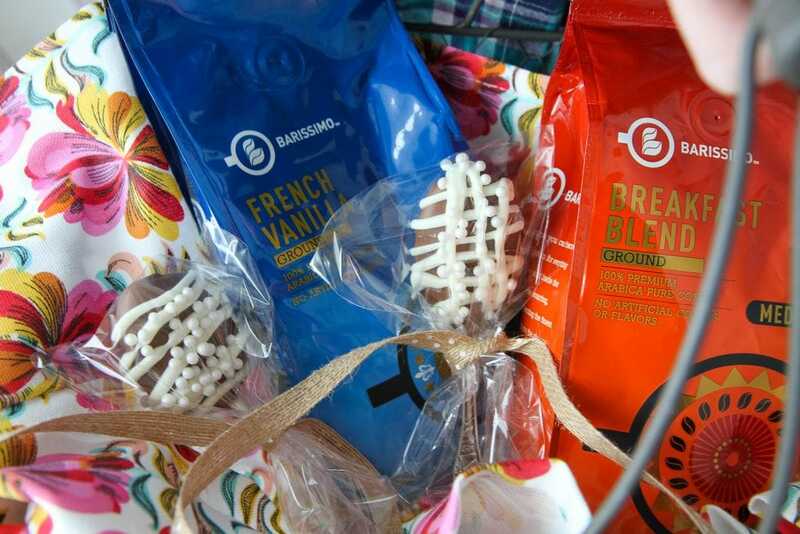 We placed these beauties into a basket with a variety of our favorite Barissimo coffees, exclusively from ALDI. A pretty dishtowel on bottom pulls it all together and acts as bonus gift. 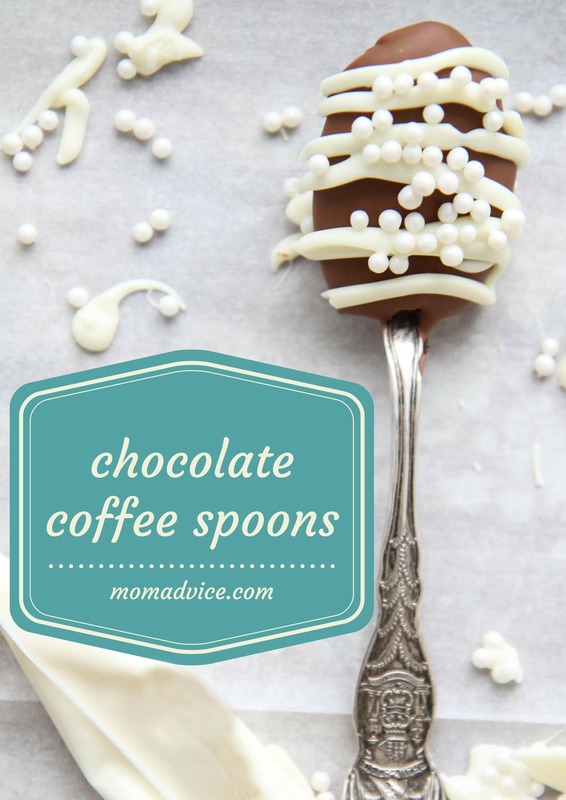 These spoons add another level of richness to your coffee giving you a rich chocolate flavor. These also would make a fun addition to your cocoa. I hope you enjoyed our fun series with ALDI this month and that these ideas have inspired you to give their new coffee line-up a try! I promise that you won’t be disappointed, not just in the incredible taste, but the incredible amount of savings to be had for your family! It’s no secret around here that I love a good coffee drink and you all know I love a good way to save – especially when it’s easy. 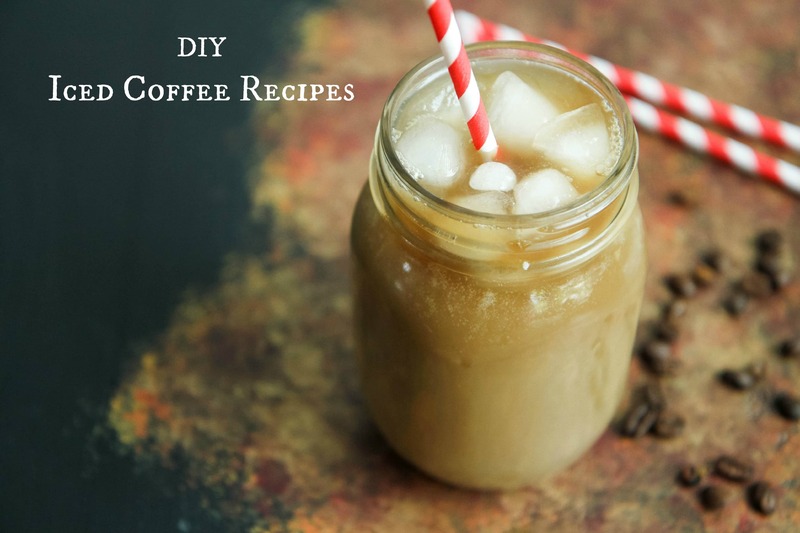 Making your own versions of coffee shop drinks gives a particularly good return since most DIY drink recipes take only a few minutes to make and are only a fraction of the cost of buying. And the no-guilt feeling while you’re enjoying your beverage? That’s right – priceless. What is your favorite coffee shop drink? 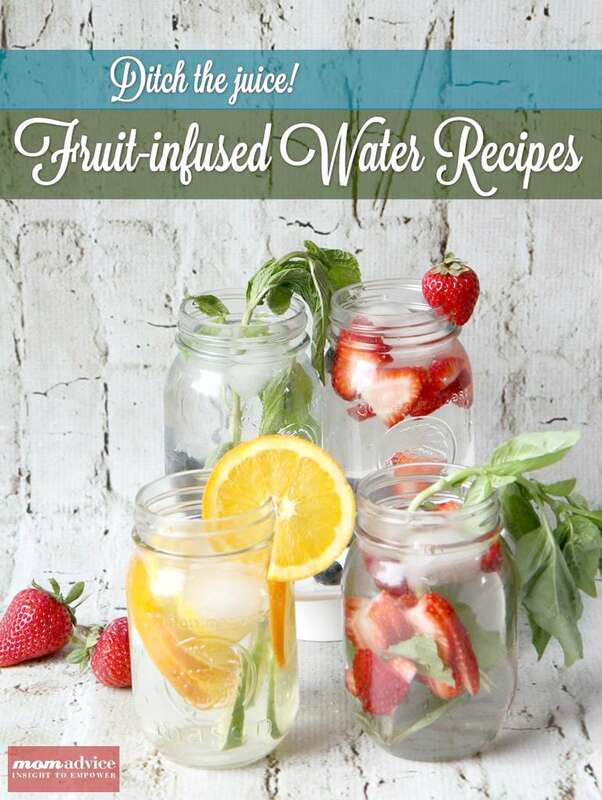 This was originally published in July of 2013 and goes so well with our focus challenge on health that I thought you’d enjoy it again – fruit-infused water is refreshing any time of the year! Back-to-school means back to the grind of packing lunches. Today I wanted to share a healthy alternative to juice boxes and recipes for creating a fun fruit-infused water for lunches any time of the year. 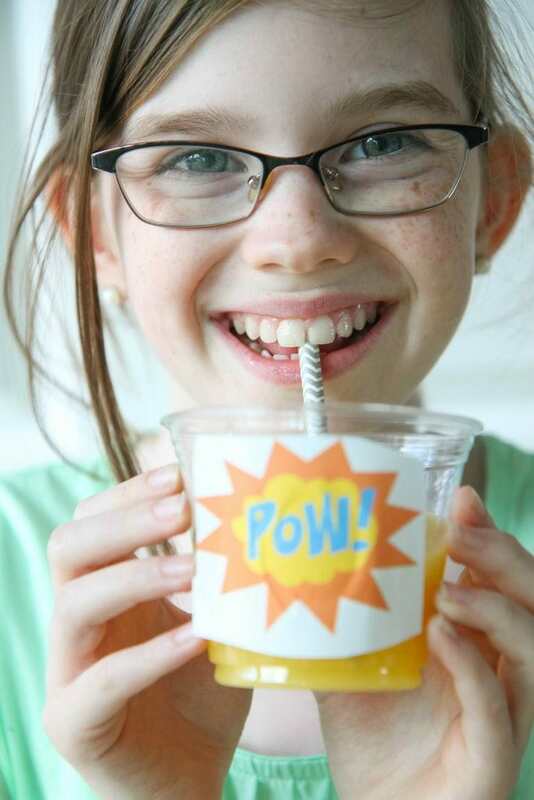 Fruit infused waters are frugal, fun, and a healthy alternative to the traditional juice box. Packing a healthy lunch is always a top priority in our house. You may recall my fun lunch box station that I created in our house just for this reason? I am happy to say that this lunchbox system is still performing so well in our house and I am looking forward to packing lunches with it again. Have you ever infused water before? 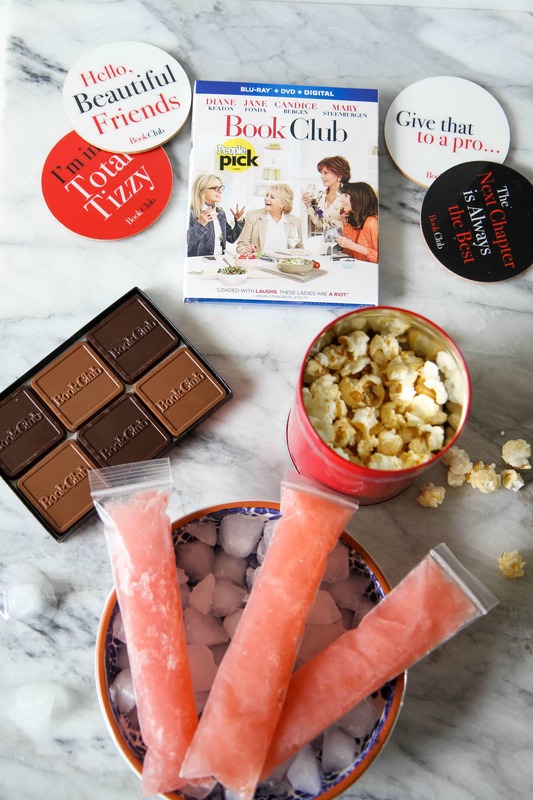 It truly could not be easier and you can mix up any flavors that you love and personalize these to your own personal taste. 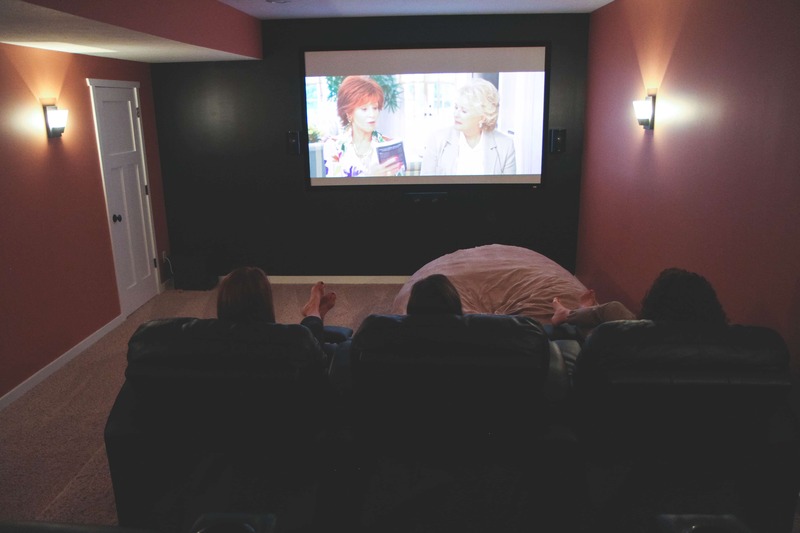 Pictured above are some mix-in ideas we tried in our house. We purchased mint, basil, berries, limes, oranges, and lemons to create different flavor combinations for fun fruit waters. We like to keep things simple with just plain water, but you can also make it a little sweet with a little liquid stevia. Seltzer can also be a fun switch-up, but carbonated drinks are always a gamble in our lunchbox, since they tend to get a lot of shaking and movement on the way to school! How Long Does Fruit-Infused Water Last? 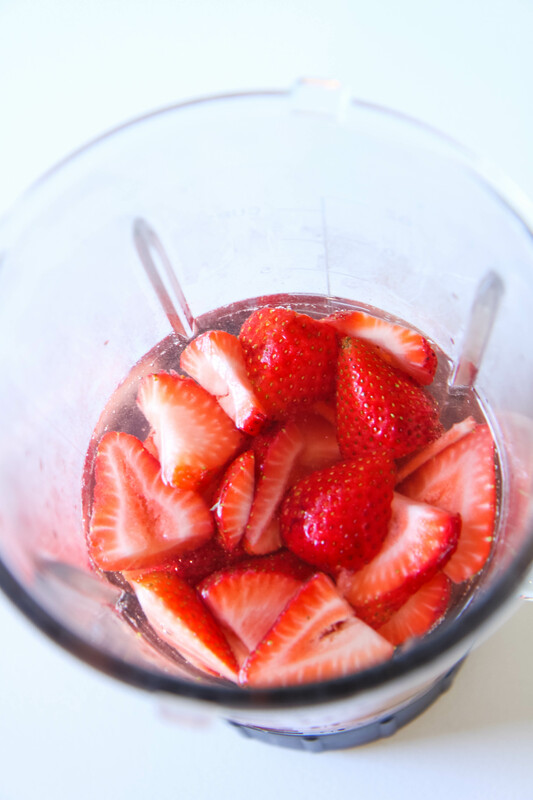 Fruit-infused water is best enjoyed after two-four hours or after it has had a chance to infuse overnight. The length of time it lasts depends entirely on the type of fruit and herbs you use. Basil, for example, only lasts for three days while heartier varieties like rosemary or thyme can last up to seven days. You can reuse the same fruit and add another batch of fresh water over it once you have gone through your first batch. The fruit can be used (typically) up to three times, but it will also depend on the freshness of the fruits you are using. If the fruit starts to look bad, it’s best to toss it and start with a fresh batch. Citrus fruits are best cut fresh for your batches because the rind can add bitterness to your fruit-infusions. I like to keep my lemons, limes, and oranges fresh for that reason while reusing my berries for several batches. It is really a matter of preference though and once you get the hang of making your own batches of fruit-infused water you will have a better idea of timelines. 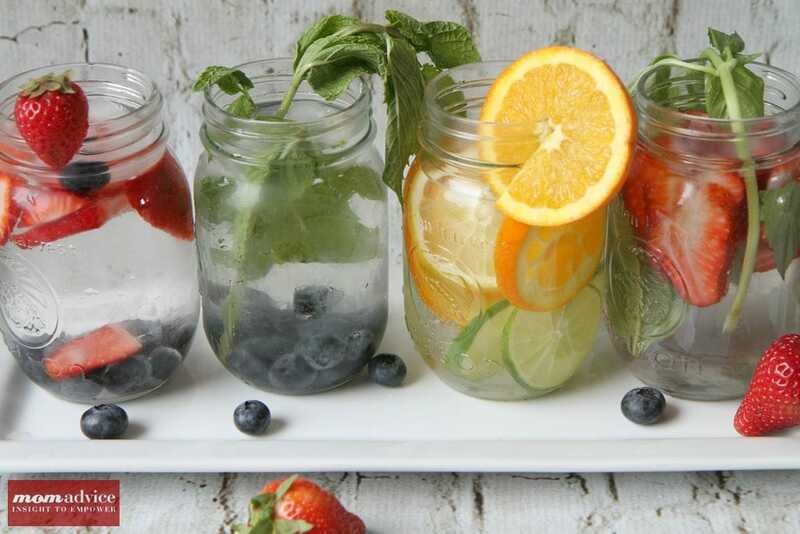 The beauty of making your own infused waters is that you can create any combination that your heart desires and add as little or as much fruits and herbs into your drink as you like! Get inspired by the fruits and herbs that are on sale that week in the supermarket flier to help inspire new combinations and keep your fruit-infused waters frugal! If the recipe calls for muddling, it just means bruising your fruit or herbs to release the flavors. I just use a wooden spoon for this. Ditch the juice box and create a healthy fruit-infused water for your child's lunchbox. Check out our fun flavor combinations in my blog post! Place the fruit and herbs, in the bottom of your pitcher and muddle with a wooden spoon, if directed. Fill the pitcher with water, cover, and refrigerate two hours or overnight, for maximum flavor. Fill a glass or thermos with ice. 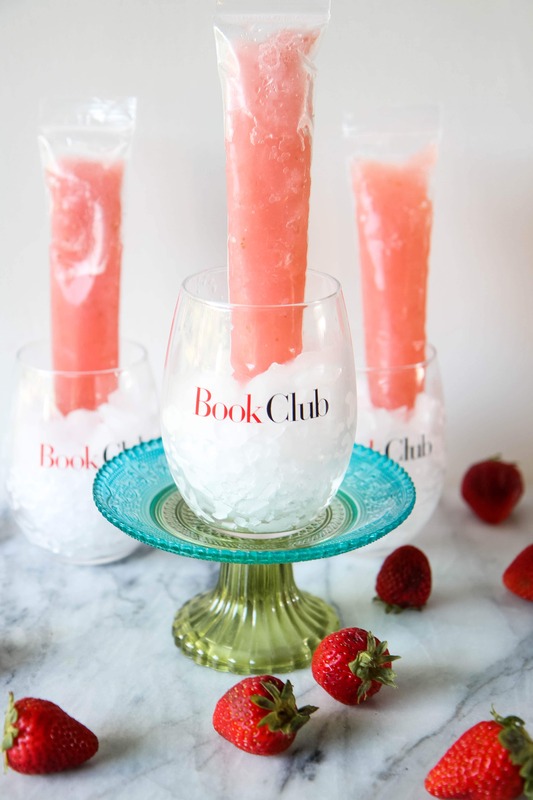 Pour your fruit infused water over the ice and enjoy! Have you infused water before? 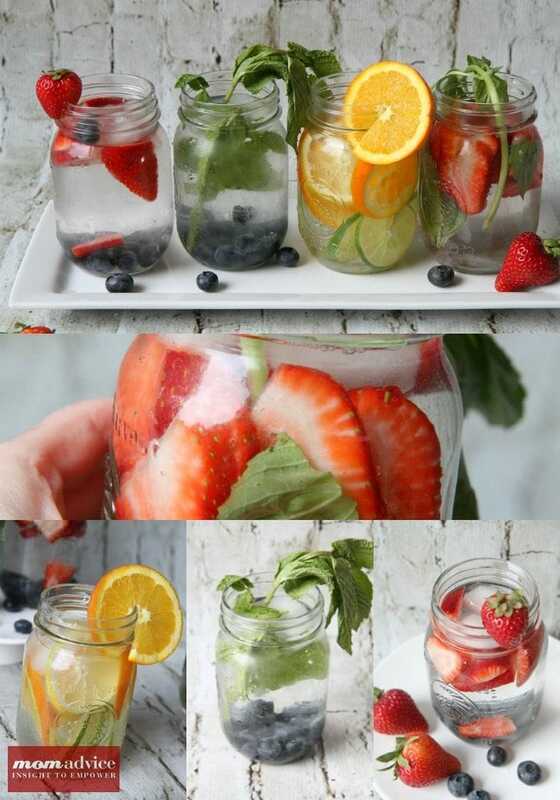 What is your favorite infused water combination?